Investigators said two suspects tried to steal the victim’s car in front of his home on Strasberg Trail near state roads 408 and 436 just before 4 a.m. Friday. The victim woke up and grabbed his gun, then ran outside and fired a shot. The suspects fled on S.R. 436, police said. John Hohenwarter, the NRA representative, worked hard to cause HB330 to be held. The main reason is he has a four page amendment (the different version) he does not want to debate in public. He has told Bob Clegg, the President of Pro-Gun New Hampshire (and former NH Senate Majority Leader), that NH is one of those states too stupid to deal with its own legislation, and has stated he will continue to interfere politically until NH accepts his amendment and does so without public hearings in the House or the Senate. Mr. Clegg intends on meeting him head on all year until the bill is released. As a life member of NRA he also intends on speaking out against NRA's spokesperson, because if NH caves in to this kind of treatment it won't be long before every representative of NRA is as anti-constitution-carry as John Hohenwarter. Unfortunately, H.B. 330, while well-intentioned, was poorly drafted. In its current form, the bill falls short of good firearms policy. Changes and clarifications are necessary to not only strengthen its provisions, but also to prevent serious, unintended legal consequences. 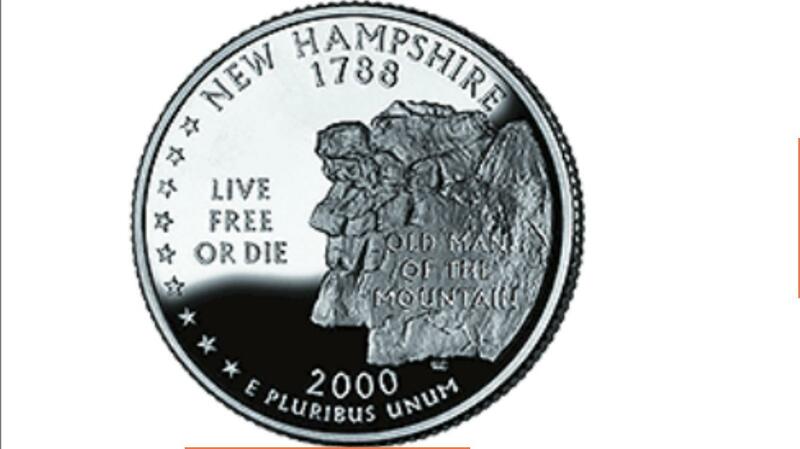 As passed in the New Hampshire House of Representatives, H.B. 330 would create legitimate concerns about the carrying of concealed loaded handguns in public by minors. While the bill would not protect the carrying of firearms by minors, it would not actually prohibit it either. This is a key distinction, as under current law, minors are essentially prohibited from carrying concealed loaded handguns in public by the licensing requirement, which would be repealed if H.B. 330 were enacted. A search of NRA field representatives shows Brian Smith as the field rep for Maine, Vermont and New Hampshire at this time. I would have thought the best strategy would have been to pass it, even if some parts might be questionable. They could always be fixed later. There is a momentum to a bill's passage, and it appears that the NRA rep managed to stop the momentum cold. This year, New Hampshire has another Democrat Governor, Maggie Hassan, who is careful not to mention that she is a long term committed Democrat in her Governor's web site. Constitutional carry has expanded to five or six states, depending on how you count. Some count Montana, others do not. Several states have passed a bill, some have been vetoed by hostile governors. Constitutional carry in New Hampshire seemed like a shoo-in, even past a governor's veto, in 2011. It will be interesting to see what happens this year. Starting out quoting Shakespeare and ending up citing Kafka, Judge Francis M. Allegra’s conclusions about ATF conduct that led him to rule in favor of retired agent Jay Dobyns in a breach of covenant suit are scathingly revealed in his previously sealed opinion. That judgment was revoked after Allegra learned of “fraud upon the court” considerations, this column reported Sunday. Contained between such surprisingly literary judicial bookends is much “legalese,” and much “backstory” that in many cases reads more like a novel than like a record of dry facts. It's almost surreal when figures from Operation Fast and Furious appear in this account, and they act in character consistent with how they established themselves in that story. This time, with additional “cast members” (and the legal document at times reads just like a script), the technique of “slow walking” (as in deliberately dragging their feet investigating the arson of Dobyns’ home) brings to mind another “walking” technique employed by ATF in that other installment of the bureau’s directed misadventures. 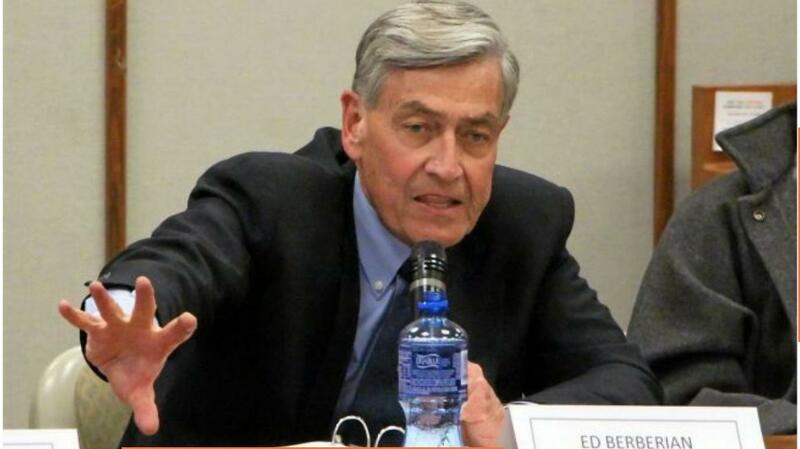 More evidence has surfaced that California's Marin County Prosecutor, Ed Berberian, has a bias, perhaps even an obsession, against gun owners and self defense. Six months ago Dr. James Simon defended himself and his wife of 38 years from an aggressive driver who followed him to his home, drove his Mercedes part way into the Simon's garage to prevent the door from closing, and persisted in invading the home after two warning shots were fired. Doctor Simon shot the man and called the police. In the other case I mention, a person was arrested after shooting a knife- wielding attacker who had broken into the victim's house through the window while the victim was on the phone with the 911 dispatcher. The victim had never committed a crime in their life and had a restraining order against the attacker. The victim had called the police many times about the attacker. The attacker got in through the broken window, lunged at the victim to wrest the gun away and was shot and killed. The victim was charged with murder by our Marin DA but the judge threw out the charge, so the DA is now pursuing manslaughter charges against the victim. The victim is still in jail after many months, awaiting trial, cannot afford the bail amount. I read in the IJ that the DA will push for 21 years prison time, because he used a gun. 21 years for defending yourself in your own home against an armed intruder while you are on the phone to 911? REALLY?! “I’m very disappointed in the ruling. I think it sends the wrong message to the community. Since I have been DA, I have been extremely sensitive to the issue of gun violence. I don’t want that in our community. We have to have some community standards,” Berberian said. Berberian is joining forces with the Center for Domestic Peace and Ben & Jerry's Ice Cream to encourage families to get rid of toy guns and violent video games. Frustrated by the situation, Berberian called Assemblyman Marc Levine to see if there is a way to introduce legislation making it a misdemeanor offense to possess an altered toy gun. A second gun buyback event is scheduled for Monday at the Mill Valley Police Department, but Berberian said people surrendering guns there will be told they won't receive any money. The buyback is scheduled for 11 a.m. to 3 p.m.. The case is being prosecuted personally by District Attorney Ed Berberian. Prosecutors whose cases are dismissed at preliminary hearings can refile charges or take evidence to grand juries without violating defendants’ double-jeopardy rights, said legal analyst Steve Clark, a former Santa Clara County prosecutor who now works as a defense attorney. “He gets one more bite at the apple,” Clark said. Marin County has a low crime rate, so perhaps DA Berberian has a lot of time on his hands. Time he can use to push prosecutions of upstanding elderly doctors who defend their families. After all, it is not his money. And maybe, just maybe, he will be able to destroy a doctor's life and 50 some collectible guns. He has to send a "message". After all, its "for the children". No matter how many innocent lives have to be destroyed. Police said the resident, Jimmy Soto, 28, armed himself with a 9mm handgun and partially opened the door. According to police, Ricker tried to pull the door open and force his way inside. "He was looking for drugs when he came to my house," Stinson said. "I'm sure the (the resident) had to defend himself because the dude was trying to break in. It's scary. 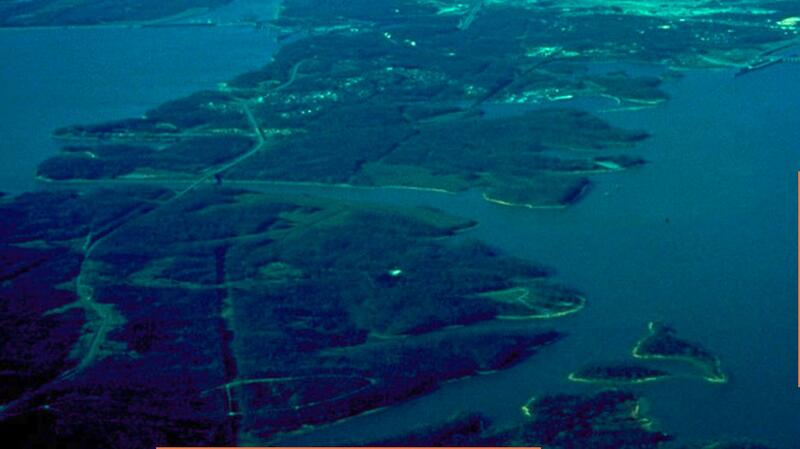 It happens everywhere but you don't expect it to happen that close to home." Other residents said they believe Soto had no choice but to open fire. A woman who works on the lot said three or four armed men wearing masks yelled at the homeowner to get on the ground. The homeowner ended up exchanging gunfire with them. “He grabbed his own weapon for self defense and he started shooting at them because they started shooting at him too,” the woman said. "As he walked through the home, the home invader confronted him with the gun. He shot the home invader and the home invader died here on scene," Coombs said. 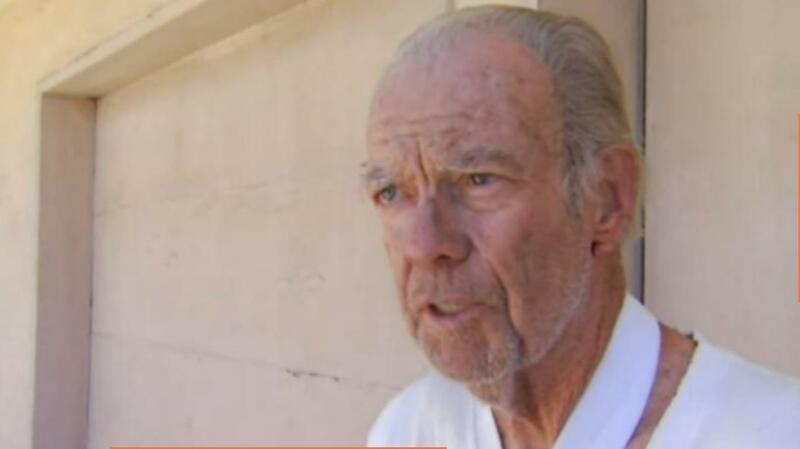 Neighbors know the 74-year-old man as "Larry." They say he legally carries a gun and they know he would defend his home. A retired deputy was injured during a gunfight with a robber inside a fast food restaurant in east Houston. The robbed fled the scene, but police believe he was also shot because he left a blood trail behind. "An Arkansas gun range owner says she saw business explode after she banned Muslims from the premises. Jan Morgan, the owner of the The Gun Cave Indoor Firing Range in Hot Springs National Park, issued the ban in the fall of 2014. According to her website janmorganmedia.com, Morgan has read the Qur'an and did not like what she saw. Sun News interviewed Morgan and found out that business is booming since she pulled the trigger on the ban." After noting that he had referred a bill to committee allowing concealed weapons to be carried on university campuses by those with appropriate licenses, Patrick said in a statement, "Now that [Senate Bill] 11 has support and is moving towards passage we can focus on other Second Amendment issues, including open carry, which I have consistently supported." If open carry is to pass in Texas, open carry advocates will have to convince 19 Texas Senators that they have more clout than leftwing Texas media does. That is the power structure that the senators will be looking at. Do they face the ire of thousands of dedicated activists who have vowed to primary those who vote against the bill? Or do they face the opposition of leftwing media who have held disproportionate power in Texas for a significant time? The defeat of Governor candidate Wendy Davis, her willingness to support open carry, and the large majorities of Republicans in the House and Senate appear on the open carry supporters side. There is no credible public policy position against open carry, as it is in effect in 44 states without problems. The ban of open carry of handguns in Texas (open carry of long guns is protected by the Texas constitution) is a relic of the reconstruction government. There were inaccurate reports in the media and across the Internet yesterday regarding my comments concerning Open Carry legislation. Despite reports to the contrary, I have never changed my position on the issue. I remain a steadfast supporter of the second amendment and Open Carry legislation. As is typical of the media looking to build wedges among conservatives, many stories took words out of context. I did not say the bill was dead but suggested instead that, because the votes were not there (at this time), it had not risen to a level of priority....at this point. That is far different than saying an issue is not a priority, it just means work still needs to be done. Sarah Mass Lefever Figured lamestream media had something to do with this mess.. keep up the good fight. . Would love to volunteer for you! I've been hating on you a little hard but I do know how the media can twist words. Get this done and make it happen. A lot of people are stirred up and really pissed off. All I can say is prove yourself and we'll follow. If you don't then you know how that story will end. Pat Davis Pearson Fight for us sir, and we will fight for you. I expect to see this bill come up for vote. At the same time, the alleged robbery victim contacted Columbus police and admitted he shot Mullins. He told officers that he shot him in self-defense after Mullins attempted to rob him at gunpoint. Police say evidence indicates Mullins was attempting to rob the man when he was killed. So far, charges have not been filed against that shooter. In this unusual case in Texas, four robbers run in, then they run out. In a store full of expensive jewelry, they take nothing. There is video at the link. As the four left the store, Parker said, the jeweler who was forced to the ground grabbed his gun and shot at the robbers. She said the robbers shot back at least twice hitting her store. Police said the robbers took off in a stolen van that was found just down the street. Nothing was taken from the store. No one was hurt. She added security and hopes to keep this from happening again. The bill seeks to make firearm regulations consistent across federal lands by allowing law-abiding citizens to carry firearms on U.S. Army Corps of Engineers (Corps) property. Under current law, a person may carry a concealed weapon in a National Park or Refuge as long as individuals comply with the firearm laws of the park’s home state. However, the same rights are not extended to Americans who hunt, camp or fish on land owned by the Corps, effectively denying them of their Second Amendment freedoms guaranteed under the Constitution when on Corps lands. This legislation has been introduced for the last three sessions of Congress but has been bottled up by Harry Reid in the Senate and the Obama administration. Perhaps the administration should have agreed to the legislative compromise before the ban was challenged in court. Now the Corps is faced with a court decision citing Peruta in the Ninth Circuit, that declares that carry outside of the home is a constitutional right. On 10 January, 2014, Judge B. Lynn Winmill of the United States District Court for the District of Idaho, issued a preliminary injunction against the Army Corps of Engineers to prevent enforcement of the Corps' rules banning guns on the properties that it manages. Here is a link to the ruling itself (pdf). Specifically, Crapo’s legislation would clarify that federal regulations should not forbid the possession of firearms on Army Crops projects and lands, as long as the firearm possession complies with state laws. Additionally, it would ensure that Corps policy is consistent with the policy already in effect at National Parks or Refuges. In June of 2014, a lawsuit was filed in Georgia asking for an injunction against enforcement of the Corps' ban in that state. The judge there ignored the second amendment implications, ruling that all of Corps lands were "sensitive", like a school or government building. Summary judgment in favor of second amendment rights was granted in the Idaho case on October 13, 2014. Here is a link to the rulilng(pdf). Now that Harry Reid is not controlling the Senate, able to block reforms, the bill has a good chance of passage. President Obama might sign it if it is attached to legislation that he wants to see passed, as he did with the reform that removed most federal infringements on second amendment rights in national parks and refuges. When the national park legislation was passed, an unfortunate oversight left a provision in that the law for a general prohibition on the carry of arms into "federal facilities", which applied to federal offices. This allowed the National Park Service (NPS) to regulate the carry of firearms within federal "facilities" enclosed in National Parks. The Park Service has used this oversight to ban the carry of guns in most National Park buildings, including restrooms in Yellowstone! I was surprised to see the reason given in the Intermountain regulations. Apparently, your ability to carry a personal firearm into a National Park restroom is considered a matter of national security. Here is the quote from the IMR NPS pdf. facility, look for a sign or ask a park ranger. Perhaps this time, the oversight that allowed recalcitrant NPS bureaucrats to ban guns in park bathrooms will be corrected. 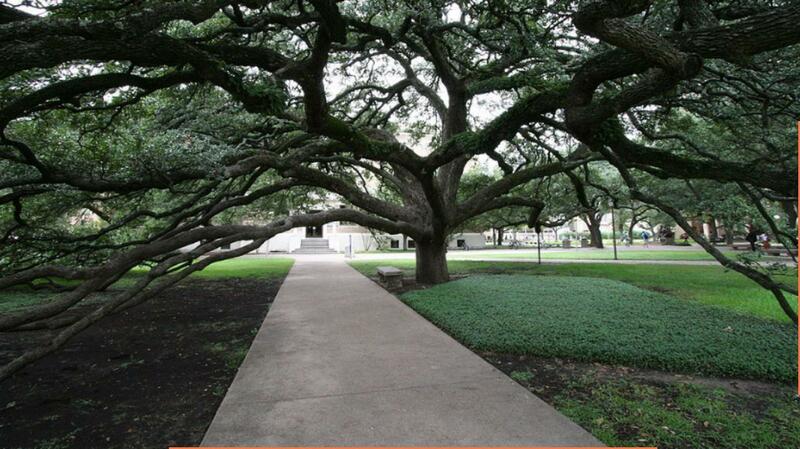 I doubt that the Senate meant for people with personal pistols to be forced to pee behind a tree. Sable Nehme shows how she turned from the closet and pointed the revolver. Channel 9 talked with a University of Central Florida student who pulled a gun on two violent intruders who attacked her boyfriend and threatened her life. The neighborhood, the Village of Alafaya Club, in Orlando, may be sketchy, as are many neighborhoods around universities. Perhaps local readers will be able to tell us if that surmise is true. The boyfriend, Nour Skargee, checked the peephole before opening the door. He only saw one of the intruders. As he cracked the door open, the intruder pushed his way in, grabbed him and pushed him inside. A second intruder in a hoody quickly followed, placed a gun in his face, and ordered him to the floor. "They said they were going to kill (her), and that's when I really lost hope, you know?" Skargee said. Fortunately, Sable Nehme's father had given her a revolver. She was in her bedroom, and the revolver was in the closet of her bedroom. She quickly locked the door and retrieved the revolver, slipping off the holster that it was in. By this time one of the invaders had broken through the door and was rapidly approaching. By the time she had turned, he was within a couple of feet of her. As she turned and pointed the gun at him, he slammed to a halt and ran from the room and out the apartment. "I am so thankful I had that gun in my room. Like, I don't know what would have happened,"
If we didn't have a gun, it would have been game over. They were bigger than me, bigger than both of us," Skargee said. "We had no way of stopping them. The gun was the one thing that made them run." But what if Sable had not been in her bedroom? What if she had kept the gun unloaded and locked up, as many disarmists suggest? What if the invader had been a second faster or a step quicker? Of course, better security at the door would have helped a lot. If Nour had a gun on him, or had retrieved one before answering the door, those questions would likely have been moot. What did not happen is also important. The disarmists claim that college students are too irresponsible to have guns. They claim that they will indiscriminately shoot themselves and others. It did not happen in this case, and seldom happens at all. This case is one of many hundreds of thousands each year that do not result in shootings and are therefore unrecorded. There will be no official record of this defensive gun use. 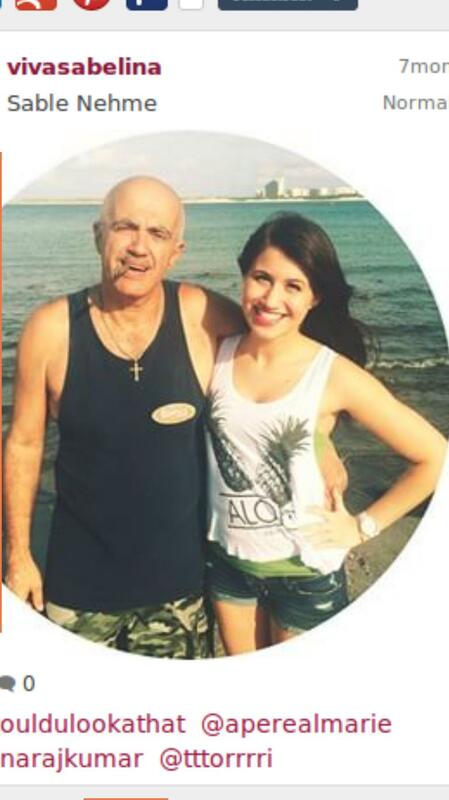 Sable Nehme is a lucky young woman whose father thought enough of her to realize that she was responsible enough to protect herself. If he had not, she would likely be just another statistic, beaten, raped, or killed. Could this be the wise father who supplied Sable with her revolver? The caption says "Beautiful day on the beach with my family :) " He appears in several other photos of Sable on photobucket. Sable, from social media, is 22 years old. She is eligible for a Florida concealed carry license.I hope that she takes some self defense courses and obtains a concealed carry license. Many people do after having a close call such as this one. This powerful essay by Greg Ellifritz is worth reading. Uncomfortable people with guns in their hands shooting in the stall next to me isn't what I like to see. I decide to talk to her. Keep in mind that no one at this range knows me or knows what I do for a living. That's why I like shooting there; I have complete anonymity and can focus on my own training rather than teaching others. I rarely talk to anyone, but something told me that I needed to talk to this girl. She tells me that she has a bad feeling that the robbers are coming back tonight to get the x-mas presents she bought for her kids. She doesn't know anything about guns and doesn't know anyone who can teach her. She's signed up for a CCW class, but no one teaches classes on the week of Christmas and she can't find an opening until January. The problem is that she thinks the robbers are coming TONIGHT. A January class isn't going to help. “[T]he gun lobby’s campaign against Murthy isn’t really about his record, or him at all,” Zoë Carpenter of The Nation told her “progressive” readers last March, meaning Opposite Day warnings should have been in full effect. She was passing along citizen disarmament lobby talking points about why Obama’s nominee for Surgeon General, Vivek Murthy, was being opposed by the mean old National Rifle Association. “[T]he campaign against Murthy is the continuation of a longstanding effort to make discussion of gun violence taboo,” Carpenter offered as the motive, purposely keeping mum about the real reason – to stop using tax plunder to gin up fake “studies” with predetermined conclusions for the express purpose of giving “progressive” politicians phony “health data” to exploit and defraud Americans out of their rights. But don’t take my word for it – ask Mark Rosenberg of the CDC, who said he wanted to see guns “dirty, deadly and banned,” or Harvard School of Public Health’s Deborah Prothrow-Stith, who opined "My own view on gun control is simple. I hate guns – and cannot imagine why anybody would want to own one. If I had my way, guns for sport would be registered, and all other guns would be banned." You know, “reasonable” stuff. What happens when millions of gun owners reply “Hell no” and salivating citizen disarmament zealots let slip the dogs of war to bend us "ammosexual gun-humpers" to their will is left unstated, but the results would no doubt represent the pinnacle of “progressive common sense,” not to mention be a “progressive public health model” triumph – keeping that Opposite Day truism in mind, of course. Open carry activists at the State Capitol in Austin. 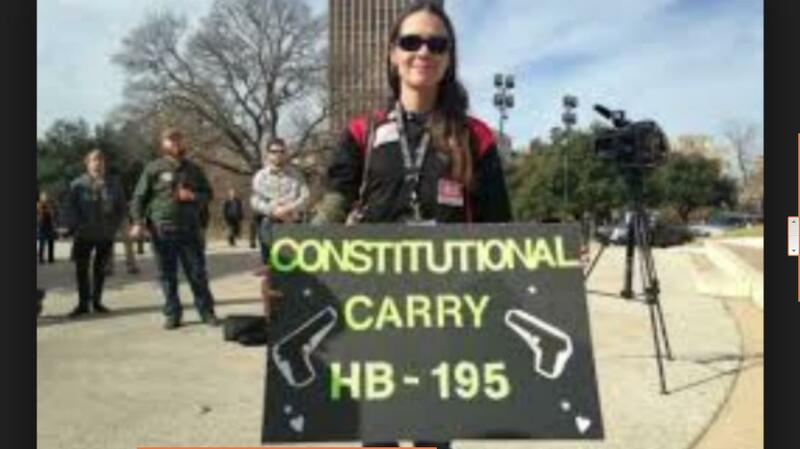 The movement to restore open carry to Texas has heated up in the last year and a half. It arguably accelerated with C.J. Grisham being accosted by a police officer in rural Bell County. An army veteran whose family owns thousands of acres in Bell county, Grisham was eventually convicted of "interfering with police duties" after a second jury trial. He is paying a $2,000 fine. On the installment plan. In nickles. The results are still under appeal. Many who have watched the video of the event think the police officer is the one who should have been reprimanded. The video went viral, and Grisham's zeal for open carry has blossomed into thousands of armed Texans marching to demand their second amendment rights. Charges against nearly all open carriers have been dropped. Those thousands of activists across the state have been busy. A number of Republicans have been primaried, and even the Democrat governor candidate could not hang onto her senate seat. She was replaced by a staunch pro constitution Republican. The new Governor, the Lt. Governor, and many, many legislators have all said that they support open carry. There is some question about what kind of open carry will come from the legislature. 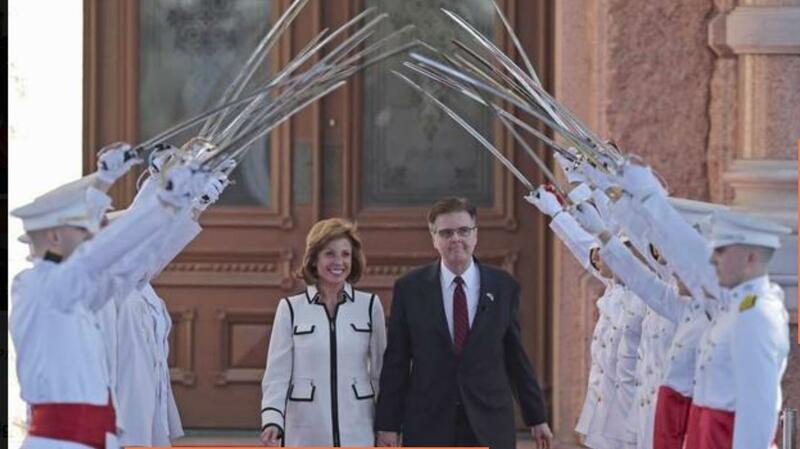 Governor Abbot has said that he will sign whatever open carry bill comes his way, either licensed open carry, which 13 states have, or constitutional carry, which 5 states have. Not mentioned was unlicensed open carry, where a license is required for concealed carry, but not for open carry. 31 states have that arrangement. Texas is one of only six states that ban the open carry of modern handguns in most public spaces. It was with some interest that I read the article in the texasobserver.org. titled "Open Carry Activists Rally at Capitol. The article made a passing reference to how open carry came to be restricted in Texas. It was born of the reconstruction government after the War Between the States, or Civil War, if you prefer. It notes that the activists have learned effective political theater. 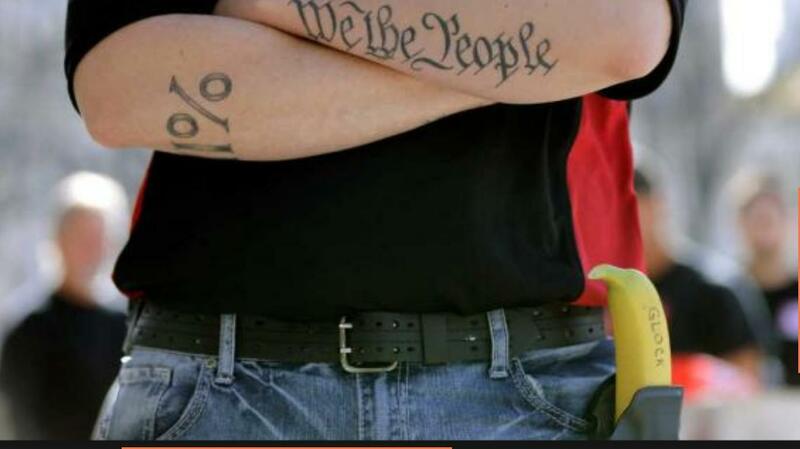 In this case, putting bananas in empty holsters to make a point. It is a powerful image that attracts the eye. The article also shows that most states already have open carry, and that Texas is an anomaly. Looking at this from a Republican representative's eyes, in a purely Machiavellian approach, it is hard to see much in the way of downsides to passing Constitutional carry, while there are many positives. It is clear that there are thousands of activists throughout the state, that they will be watching the votes, and that they have long memories. The threat of being primaried is real, and has happened to other representatives who no longer hold their exalted positions. There does not exist *any* such opposition on the other side. What opposition that exists is mostly in the form of dying media outlets and billionaires who want to tell everyone else how to live. Those billionaires do not have their sights set on Texas. There are no grass roots efforts to primary pro-constitution people. 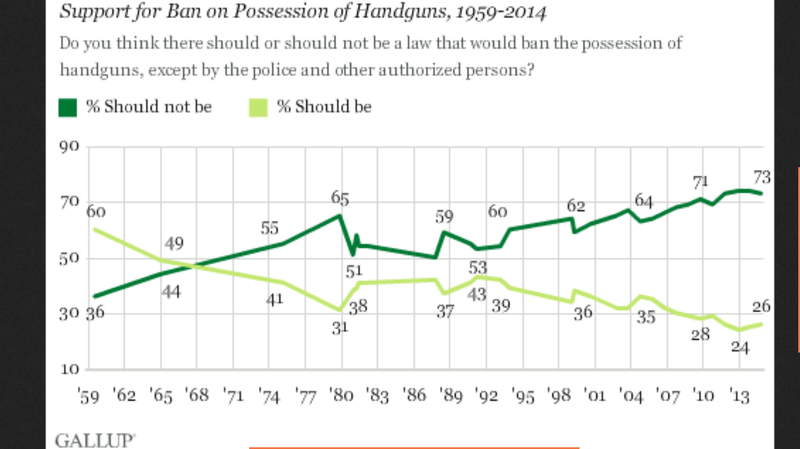 There is a tiny negative in that the old media has some weak opposition to open carry. It matters little to Republican candidates, who are constantly tarred as tools of the NRA by the old media in any case. The existence of open carry in the vast majority of states makes the fear based arguments against it ineffective. Criminals almost never openly carry, because it draws attention to them. Other than a vague "we hate guns" principle on the left, there are no valid public policy arguments against it. The Republican legislators have very strong reasons to vote for constitutional carry, and very weak reasons to vote against it. Vote for it, and have thousands of activists approve, maybe even promote your election. Vote against it, and have thousands of activists that have shown their dedication, work to take you out in the next primary. This is the same dynamic that resulted in the concealed carry revolution across the 50 States. The best summation of it is in Rise of the Anti-Media, by Brian Anse Patrick, professor of Communications at University of Toledo, Ohio. If I were a Texas Republican, I would pass constitutional carry, and not have to worry about the next primary and facing the same issue again the next legislative session. That is exactly how constitutional carry came to Alaska. An Alaska Democrat just got tired of constantly losing incremental battles to restrict the legal carry of firearms, and said, let's pass constitutional carry, then we can get on to bigger issues. It is good advice for legislatures in all the states. Members of a pro-gun-control group want Washington Fox affiliate WTTG to dismiss reporter Emily Miller for her speech last week at a pro-gun rally in Richmond. A petition, being circulated by the Coalition to Stop Gun Violence, takes umbrage with Miller’s longtime advocacy for looser gun regulations, much of which she’s documented during her career in journalism. Investigators say Zebadiah Romero, 26, entered the store around 1 p.m. with a .30-.30 caliber rifle. According to police he threatened people inside the store and demanded money from the cash drawer. While in the store he fired one shot at the owner, but police say the owner returned fire hitting Romero in the leg. That neighbor also called 911 to report that the man had attempted to break into his house. He told deputies he fired a handgun into the air to scare the suspect away, Clackamas County Sheriff’s Office said. A spokesman with Clackamas Co. Sheriff’s Office told KOIN 6 News while it is not illegal to fire a gun, if a stray bullet from the homeowner was found to have hit a person or property, he could face charges. Kleine says Lorenz was helping Toler's wife while she was having a conflict with her husband. Witnesses say Toler broke Lorenz's windshield with his bare hands, according to Kleine, and Lorenz shot in self defense. According to investigators, the homeowner grabbed his pistol and began firing shots at the criminals from the top of the stairs. 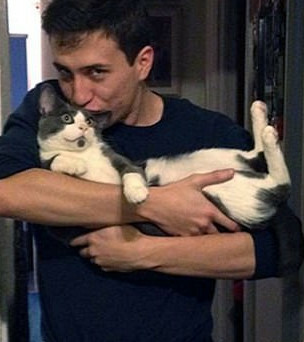 "It's our understanding he was quite scared and terrified, in fear of his life. He discharged his weapon, and as they retreated, they shot back," said Assistant Chief Mark Herman with Harris County Precinct 4. "Initial reports indicate Damico came to the residence looking for someone and forced his way in past the homeowners. The complainant then chased Damico out of the residence where he was met by another family member … who held him at gunpoint until deputies arrived," a news release said. In the dramatic video from inside the New Hope, Minnesota city council chambers, one of the council members reacts to the sound of gunfire outside of the doors by drawing his own weapon and preparing to defend his colleagues. It is clear that the council member on the left of the screen has considered this sort of scenario, and is mentally prepared. Immediately after the shots are fired, you hear a voice saying, "Get down!, Get down!". 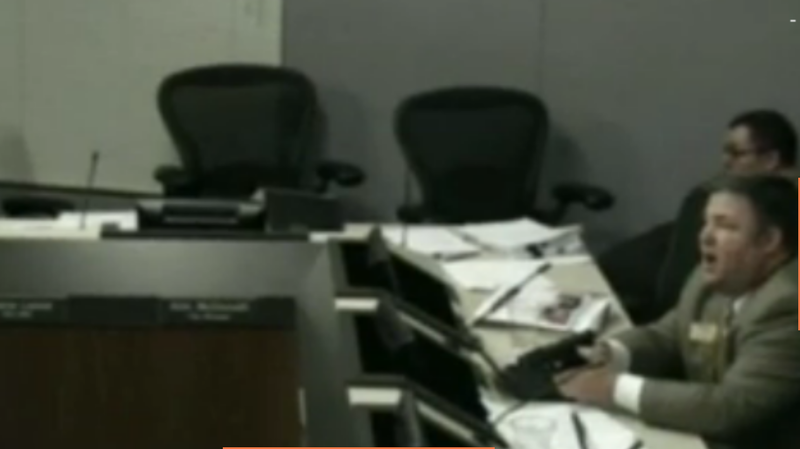 As the video progresses, and shows the councilman with the handgun on the left, it is clear that he is the one giving commands and taking responsibility for defense, even though he has to expose himself to do so. The image stands in stark contrast to the picture at the Canadian parliament, where the legislators armed themselves with makeshift spears. Kmetz’s brother told KSTP'S Beth McDonough, that the family had warned police officers about threats Kmetz apparently made about using firearms and "all we could do was sit back and wait for it to happen." He asked not to be identified. Two new officers had been sworn in at the New Hope City Council moments before, and were attacked just outside the door with other officers. Initial reports are not clear if the attacker used a long gun or a hand gun. Two officers, one newly sworn in, were wounded before the attacker was shot and killed. It has to be one of the fastest shootings in a police career, no more than minutes; perhaps only seconds! One of the most difficult barriers for people to overcome in their own defense, is the denial that it could happen to them. Over and over again, we read of victims that say, "I could not believe that it was happening". "This can not be real". "I did not believe that it could happen to me". If something is outside of your mental framework, it takes considerable processing to understand what is going on. People who obtain concealed carry permits have overcome that barrier. They have already decided that it could happen to them. In the New Hope shooting, the city council member with the concealed carry permit shows this mindset very clearly. He is the first to understand what is going on. He takes charge and issues appropriate commands. He prepares for the worst,and does not panic. In a emergency, quick action is often required. Many valuable seconds are wasted in denial that what is happening is real. One way to overcome this handicap is to play the "what if" game. As people go about their daily lives they consider; what if someone tried to carjack me at the grocery store; what if someone insisted that I give them money; what if someone attacked the city council. Then, when an emergency happens, they have already considered a response to a somewhat similar situation, and they do not have to start the mental processes from scratch. Another good method is to read about actual crimes that have occurred, as are shown on Gun Watch. Having read about actual self defense situations makes it easier to accept that one is happening to you. I applaud the city council member who took quick action to defend his colleagues. Though he did not have to shoot anyone, he showed that he has "the right stuff". Quick thinking and clearheaded action in the face of gunfire at the door should be applauded and rewarded. 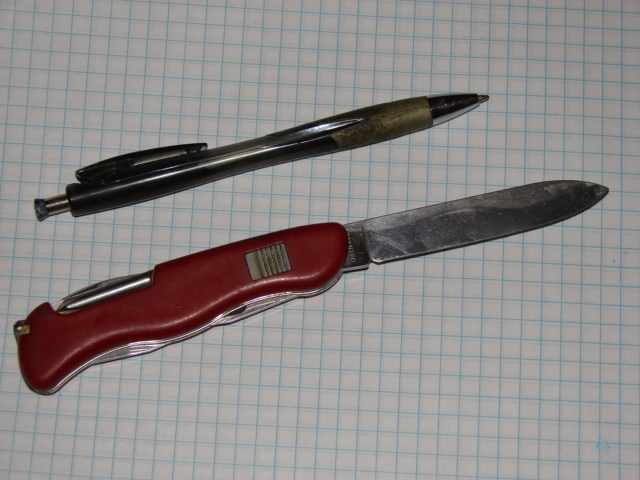 "Originally authored by Knife Rights and first introduced by Representative Salmon in the last session of Congress, Knife Rights developed the Knife Owners' Protection Act to address this absurd situation in a commonsense manner that is fair and equitable and is based on established legislative and legal precedent," Ritter noted, "we've fought hard to defend the right to carry a knife in the individual states, cities and towns, but KOPA represents a key initiative to protect law-abiding knife owners simply passing through areas like New York City where possessing the most commonly owned pocket knife in America today, the one-hand opening folding knife, may result in arrest and prosecution." Among the dozen or so businesses that have reported to have been targeted in New York City are Eastern Mountain Sports, Orvis, Paragon Sports, Lowe's and Home Depot. At least one out-of-state Internet retailer has been targeted. The six-figure so-called "contributions" are being made to a "public education fund" controlled by the DA in order to secure "deferred prosecution" agreements to avoid threatened criminal charges. Additional outrageous and over-reaching demands have also apparently been made to avoid prosecution. A bill to reduce defenseless victim zones on establishments of higher learning has been introduced in the Texas legislature. It is commonly known as a "campus carry" bill, SB11. SB11 has 19 of 20 Republican senators as authors. They are; Birdwell | Bettencourt | Burton | Campbell | Creighton | Eltife | Estes | Fraser | Hall | Hancock | Huffines | Kolkhorst | Nelson | Nichols | Perry | Schwertner | Seliger | Taylor, Larry | Taylor, Van. There are only 31 senators in the Texas senate, so a majority of senators already agree with the bill. It does not force private or independent colleges and universities to allow students to carry concealed weapons if they have a concealed carry permit. If they wish to ban the carry of handguns on campus, they must adopt rules or regulations to do so, after consultation with the students, staff and faculty. But if they do so, they lose immunity from lawsuit for actions authorized by this sub-chapter of the law. It is similar to the Wisconsin shall issue law that grants immunity to businesses that do not prohibit people from carrying on their premises. Hospitals and lower level schools and preschools located on the property of institutes of higher learning are allowed to ban concealed handguns with the Texas 30. 06 sign. This is the early stage of the legislature, but the fact that the bill only applies to concealed handguns seems rather strange. Amendments are likely. Substituting weapons for handguns would extend the protections of bill to all legally carried concealed weapons. It would create a weird situation in the law if a permit holder could legally carry a handgun, but be prosecuted for carrying a pocket knife. I recall the horror that I felt in reading the student contract for the Texas A&M dormitory, and learning that my daughter would be in violation for the mere possession of a pocket knife! Few students who live in dormitories will be old enough to qualify for concealed carry permits, but there will be some. Jefferson recommended that two hours a day be set aside for exercise. This issue has been fully vetted by both the House and the Senate over the past three legislative sessions. It has passed out of every committee hearing and passed in both chambers, House and Senate. The probability of passage seems even higher in the 2015 session. The SHOT Show — Shooting, Hunting, and Outdoor Trade Show — is the world’s largest gun show. Held annually in Las Vegas, it’s intended for those in the trade, not the general public. Walking its almost 16 miles of booths is a near-marathon feat of endurance, and every mile exhibits more firepower than all the armies of the ancient world combined. But despite their formidable powers of self-defense, members of the firearms industry are a nervous lot — and not without reason. Two years ago, after Newtown and the 2012 election, the show anxiously awaited President Obama’s executive actions on gun control. A year ago, the U.N. Arms Trade Treaty (ATT), on which I’ve written copiously, promised nothing but trouble. This year, executive actions were back on the agenda: with the midterm elections now past, the industry fears there’s nothing to stop the president from indulging his anti-firearms instincts. The University of Tennessee hosted a gun control debate January 21, 2015. The debaters were Juan Pacheco, a former gang member and speaker for the Peace Warriors Network, and Glen Caroline, Director of the NRA Grassroots Division of the NRA Institute for Legislative Action (NRA ILA). Pacheco began with a presentation about himself, his background and his purpose. He spoke about the need for safe storage of firearms; one might say he is in general agreement with the NRA and all responsible gun owners. Later, Pacheco attempted to correlate firearms availability to suicide in the US. Yet, a check of World Health Organization (WHO) data, as reported by World Life Expectancy shows the US suicide ranking is number 63, far behind South Korea and Japan, at 13 and 14 respectively. Both those nations have a suicide rate about twice that of the United States. Both those nations have nearly a virtual ban on private possession of firearms. They illustrate that firearms availability does not closely correlate to suicide. Pacheco attempted to equate increase in firearms ownership with crime, yet government statistics show, as Caroline pointed out in a slide, that as the gun ownership rate has increased dramatically, crime has decreased in US. ‘Thomas Greer is presumed to have held a reasonable fear of imminent peril of death or great bodily injury,’ according to the report signed by Deputy District Attorney Janet Moore. 'The lady didn't run as fast as the man so I shot her in the back twice. She's dead.. but he got away. She says "don't shoot me, I'm pregnant, I'm gonna have a baby" and I shot her anyway. The statement did not hold up against forensic analysis. Mr. Greer fired three shots, two of which struck Miller, once in the left side of the chest, and once in the right knee. Neither shot is in the back, as stated by Greer. The shooting happened inside of Greer's home, not outside, as was implied by early reporting. After being shot, Miller fled the home and collapsed in the alley outside. Presumably, Greer told prosecutors a different version of events, one that was consistent with the physical evidence, probably on the advice of counsel. The incident serves as an example of why it is a bad idea to talk to the media after a self defense shooting. While you have no legal obligation to tell the media the truth, you will be tried in the court of public opinion. Greer was widely accused of being a cold blooded murderer because of the ill considered statements that he made. He would have been better served by refusing comment. I have to give the prosecutor, Janet Moore, credit for thoroughly investigating this case and making the right decision. It would have been politically correct to take the old white guy's braggadocio at face value and prosecuted him to the full extent of the law. It would not have served justice, it would have been a waste of taxpayers money, but it would have been politically correct. While Mr. Greer was finally found to have been justified in his actions, it could have cost him far more than it did. His case serves as a strong example to others not to talk to the media. Honeycutt fired a shot at the intruder, who retreated through the window and over an embankment. Johnny Collins was later located on Perkins Madden Road by Jimmy Dunn, who observed that Collins had an apparent gunshot wound. Dunn transported Johnny Collins to the hospital, where he was later pronounced dead by the Deputy Coroner. Properly installed arm brace at Sig Sauer booth at the Shot show. On 16 January, just before the Shot Show, the BATF published an open letter on the subject of "The Redesign of "Stabilizing Braces". The letter was supposed to "clarify" the increasingly muddy, irrational, and stupid law. A combination of the thwarted original intent of the legislation, combined with continued bureaucratic desires to "grow the rice bowl*" and the irrational belief of disarmists that any additional regulation is good, not matter what, has resulted in our arrival at this point. The reason for the ban on short barreled rifles and shotguns had very little to do with the criminal use of such items. After all, criminals use handguns many, many, times more often. Short barreled rifles and shotguns are, in fact, as modified and used by criminals, expediently manufactured pistols. Michigan had served as a blueprint for this action. First they had required licensing of handguns; then they made the possession of short barreled rifles or shotguns illegal. The prohibition on short barreled rifles and shotguns was passed in the hope of making handguns so heavily regulated as to be impossible for an ordinary person to obtain. Without that regulation, the restrictions on short barreled rifles and shotguns become non-nonsensical. The BATF then did what bureaucrats do. They worked hard to keep and enlarge their reason for existence, their "rice bowl"; and short barreled rifles and shotguns were one of the primary reasons. The definition of a "rifle" and "shotgun" were based on the idea of them being "fired from the shoulder" so putting a shoulder stock on a pistol, even though it made the pistol harder to conceal, was ruled to be illegal, because the pistol then became a "short barreled rifle". As a child, I struggled to understand what was so evil about shoulder stocks on pistols. The logic escaped me, as it has, apparently all criminals. I have yet to read of a crime committed by someone using a pistol with a shoulder stock attached. The first problem is to slow down the number of handguns being produced and sold in this country. The second problem is to get handguns registered. The final problem is to make possession of all handguns and all handgun ammunition-except for the military, police, licensed security guards, licensed sporting clubs, and licensed gun collectors-totally illegal. Richard Harris, A Reporter at Large: Handguns, New Yorker, July 26, 1976, at 53, 58 (quoting Pete Shields, founder of Handgun Control, Inc.) (boldface added, italics in original). But that did not happen. Handgun possession, in the face of an increasing crime rate, design innovation, movies glorifying handgun use, and increased prosperity, soared. The revolution in concealed carry licenses happened. All 50 states now have them. More people have more handguns than ever before in the United States, and carry them more, and crime rates have been consistently dropping for 20 years. The desire to reduce the number of handguns has been a complete and utter failure. Even the agitprop to make handguns socially unacceptable has completely failed. The idea of banning handguns, which was widely accepted in 1960, now appeals to only one quarter of the total population. The utter destruction of the hope of substantially reducing the number of handguns in American hands occurred in 2005 with the Heller decision in the Supreme Court, which held that the second amendment of the Constitution included, as a fundamental, enumerated right, the right to possess a loaded handgun in the home for the purpose of self defense. With the right to possess handguns for self defense enshrined in a recent Supreme Court decision, the last shred of a reason for the ban on short barreled shotguns and rifles died a death without even a whimper. Few even noticed. If people have a right to possess handguns, and rifles, and shotguns, what is the rational to ban intermediate arms: short barreled rifles and shotguns? There isn't any. At the very worst, the same restrictions that exist on the possession of handguns should apply to short barreled rifles and shotguns, as they do in many other countries of the world. But, the primary purpose of a bureaucrat is to ensure that his job is kept safe. Either he does this out of pure self interest, his vision of the public good, or a combination of the two. In any case, the results are the same. Bureaucrats will fight to keep their rice bowl, tooth and nail. The disarmists fight to keep their dream of citizen disarmament alive, even when it no longer makes any sense, if it ever did. Now we have reached the insanity of the current BATF letters. First, they ruled that it was legal to have a forearm brace on a pistol, if the intent was to fire the pistol one handed. This is technically correct, but what has it to do with crime? Absolutely nothing. It is just rice bowl rhetoric. Then, they published a letter saying, that if you used one of these pistols with the forearm brace installed, as a short barreled rifle with a short stock, it was legal, because what made the brace legal was the intent with which it was made, not how it was used. Again, relationship to use in crime? Zero, Zilch, Nada. So, there we have it. A obsolete law that was meant to make control of handguns plausible, left in place by legislative oversight, coasting on legal momentum from a dying dream of disarmament, barely kept alive by desperate bureaucratic support to maintain their rice bowl. This sort of stupidity should not last. It should be confronted and eliminated. I hope it will be, but as a famous person said of human stupidity, it is the only thing that is in truly infinite supply. “We question ATF’s reversal in position that the classification of the brace may be altered by its use. We are reviewing the legal precedents and justification for this position, and will address our concerns with ATF in the near future. The saga of this law is a clear and utter failure of the legislative process. It should have been repealed at least a decade ago, when the Heller decision came down from the Supreme Court. But powerful special interests in the BATF bureaucracy and those who wish to disarm the citizenry, have been able to block needed reforms. Fantasies about crime and guns cannot stop reform forever. The people and legislators are becoming educated about the particular idiocy of this law. With hard work, it will eventually be eliminated. It made little sense when passed, 80 years ago. It makes no sense whatsoever, now. *rice bowl: Military slang introduced from Southeast Asia. It is loosely translated as "the means to feed yourself at the public's expense". Josh Sugarmann, executive director of the rabidly anti-gun Violence Policy Center (one of the few domestic "gun control" groups still brazen enough to publicly advocate an outright ban of private ownership of handguns), has long argued that the gun industry depends on marketing increasingly "lethal" firearms in order to keep customers coming back for more. Access to the SHOT Show is restricted to members of the firearms industry. 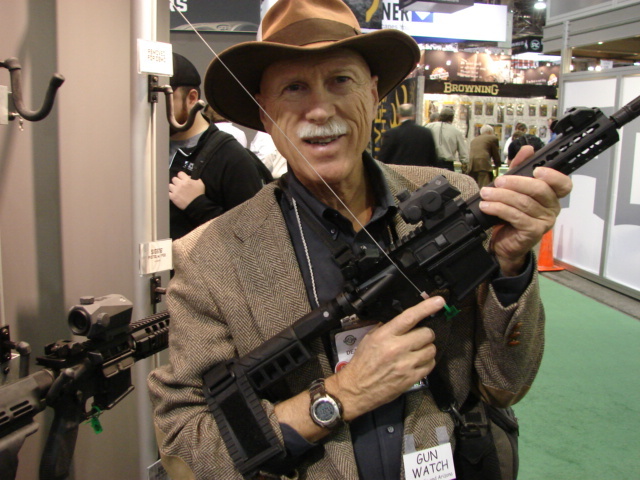 The general public is banned and media access is tightly controlled, with the show's media guidelines noting: "Because the SHOT Show is run for the benefit of the shooting, hunting, outdoor and law enforcement industry, a demonstrated record of reasonable objectivity, fairness and balance in past coverage of the industry will be considered" -- a level of "reasonable objectivity, fairness and balance" that is, of course, in the eyes of the show's industry sponsors. MO: Gun Beats Knife in Dunkin Co.
Dart Center for Shoddy Journalism?